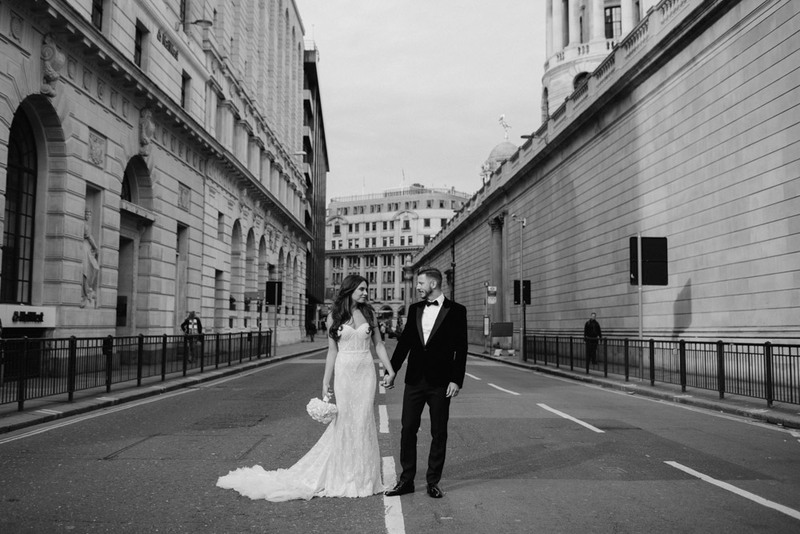 Jennifer and Luke live in Hong Kong but are originally from the UK. 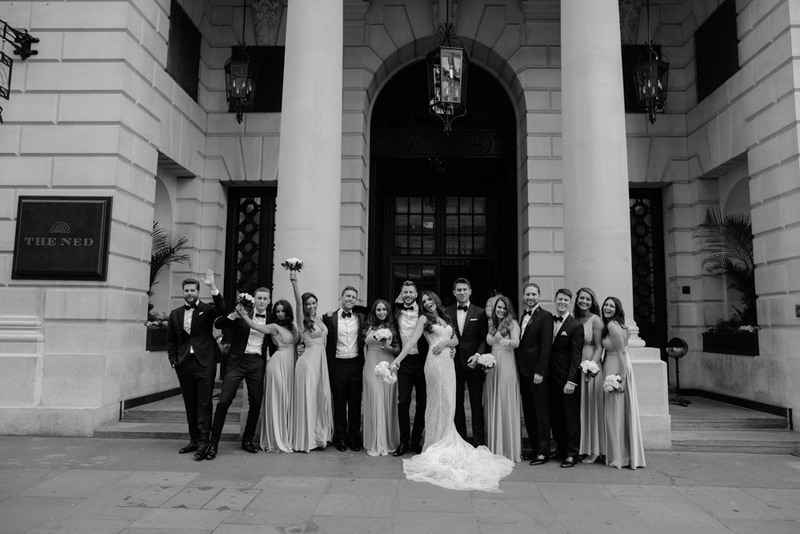 They got married at the Ned hotel in London City. 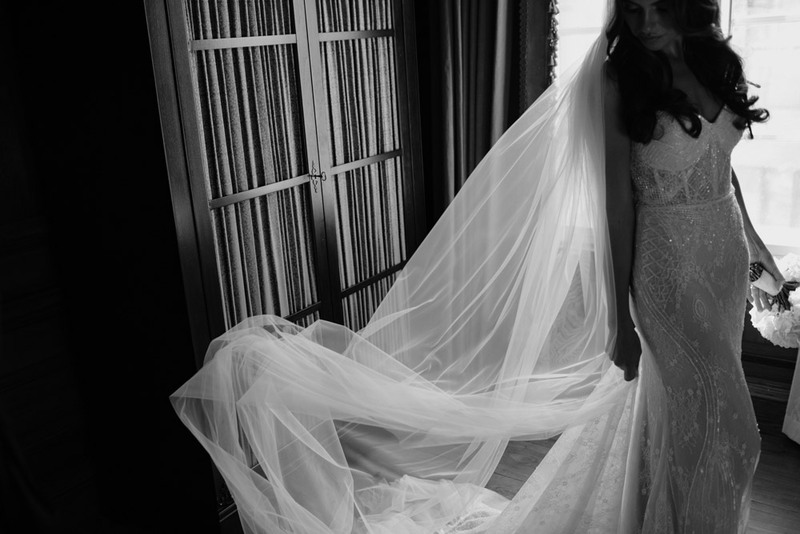 To say that I was excited to shoot there is an understatement. 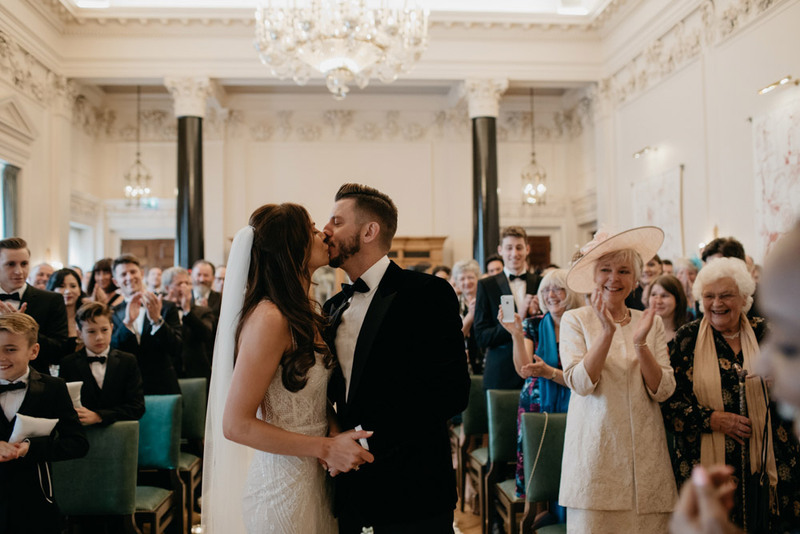 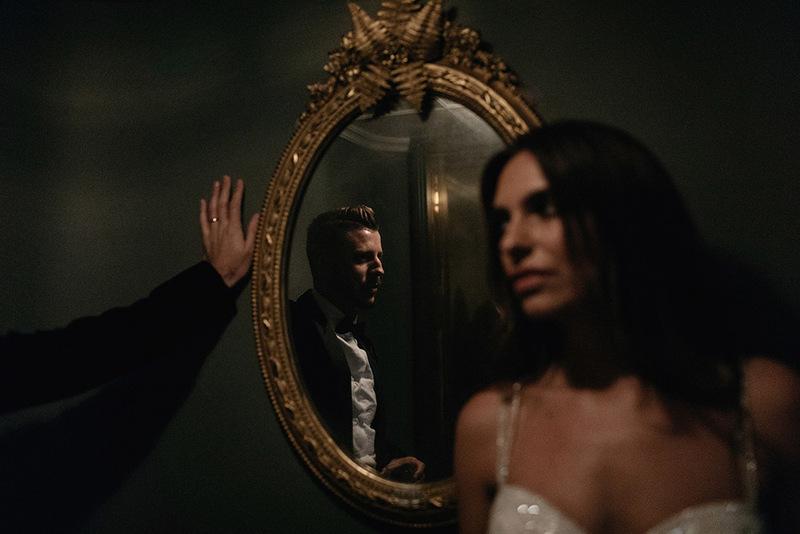 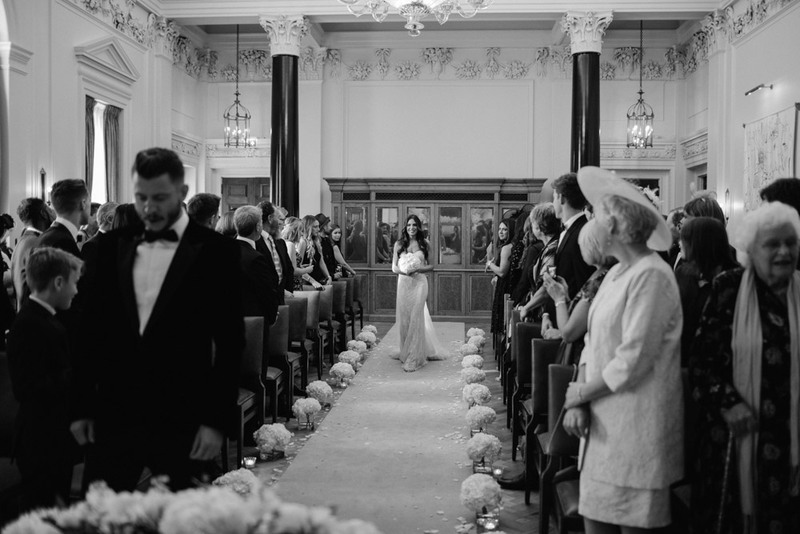 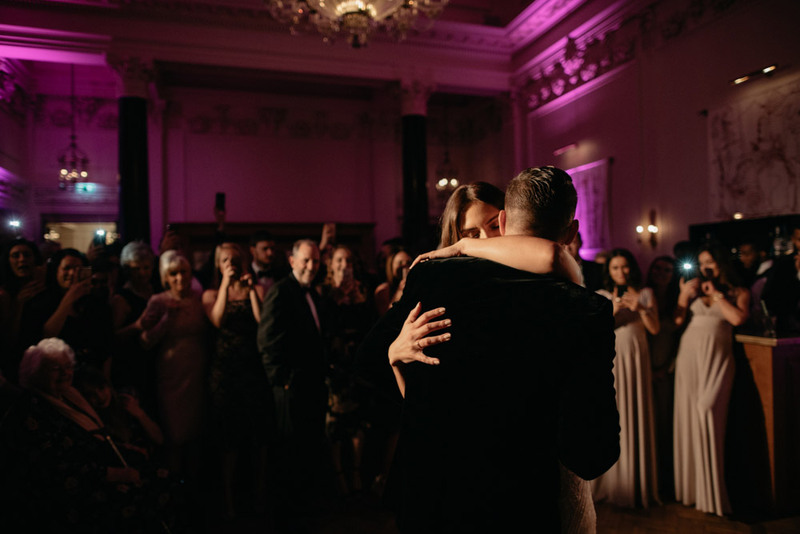 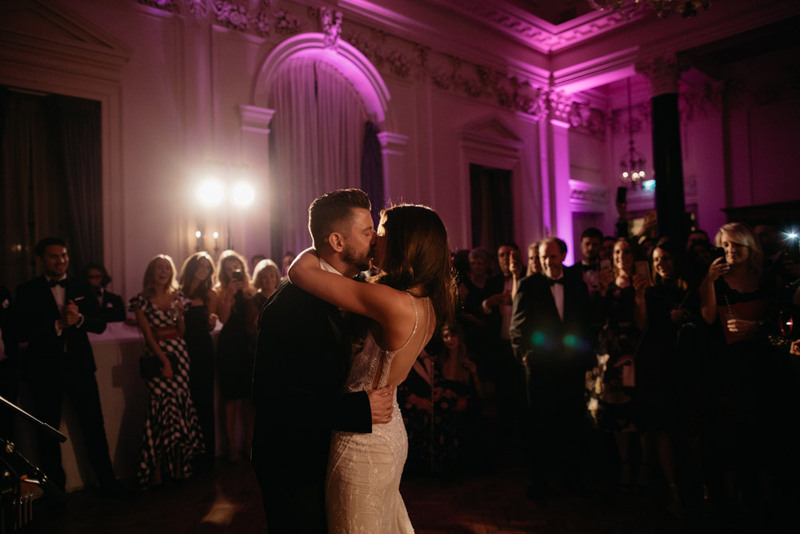 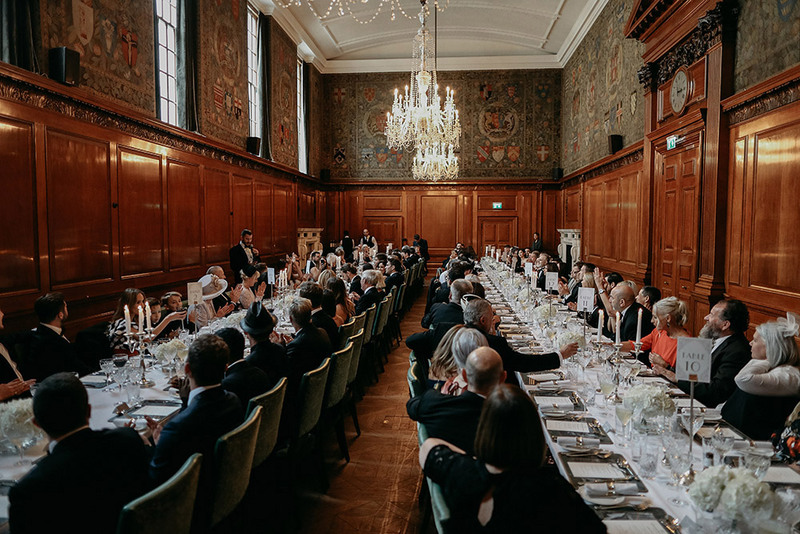 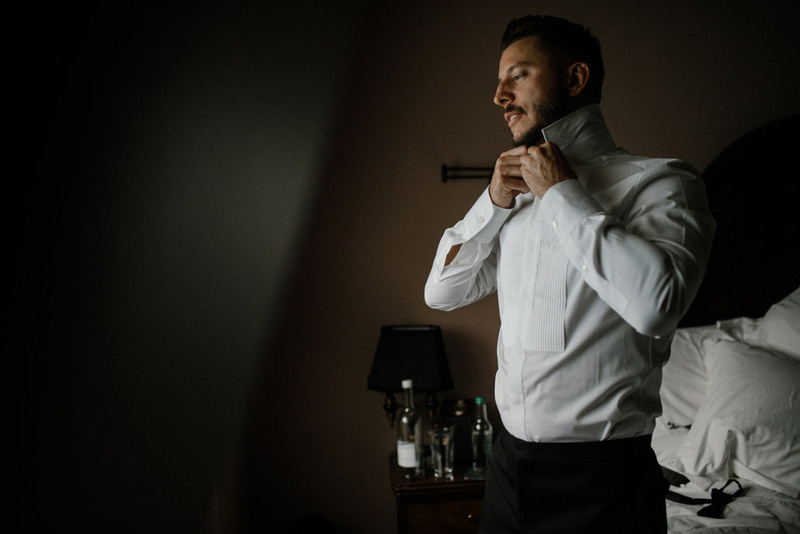 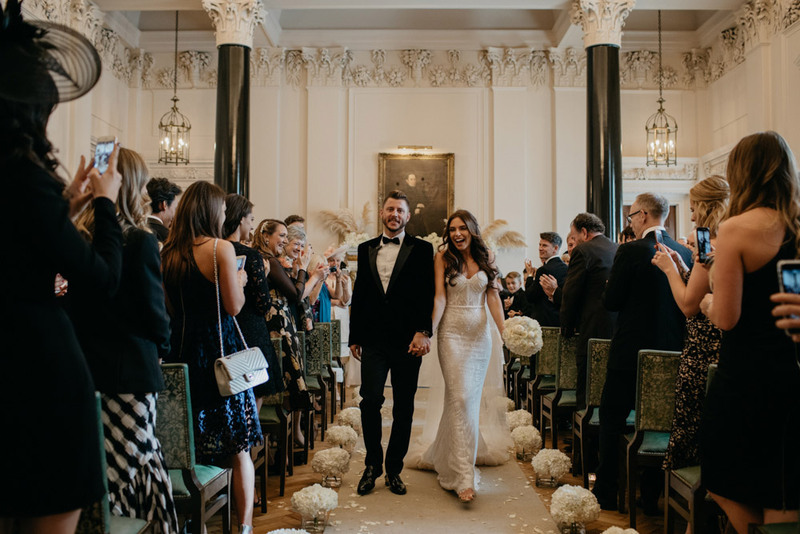 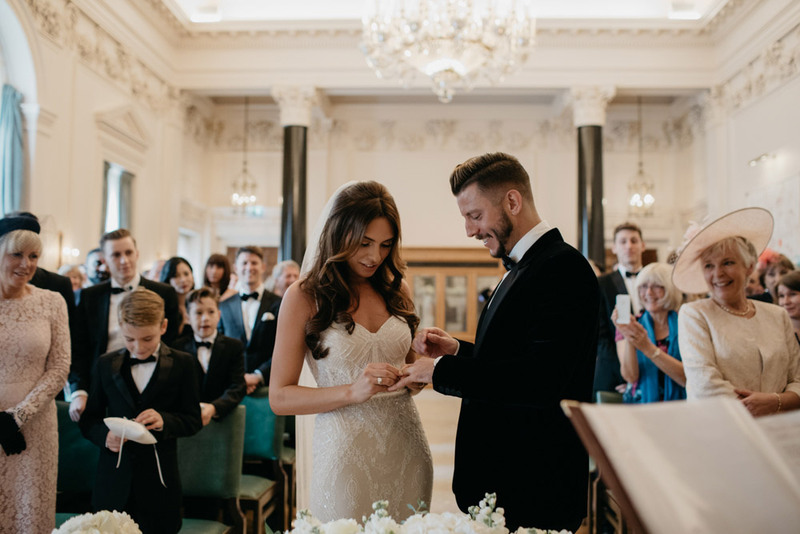 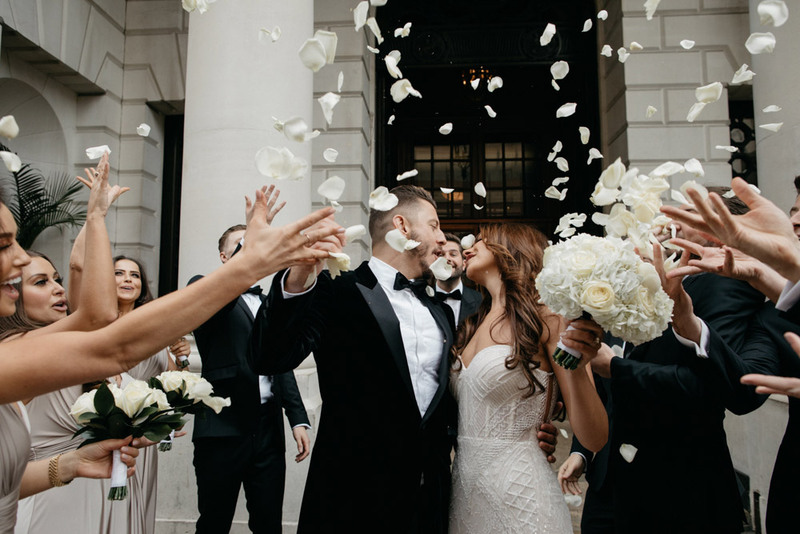 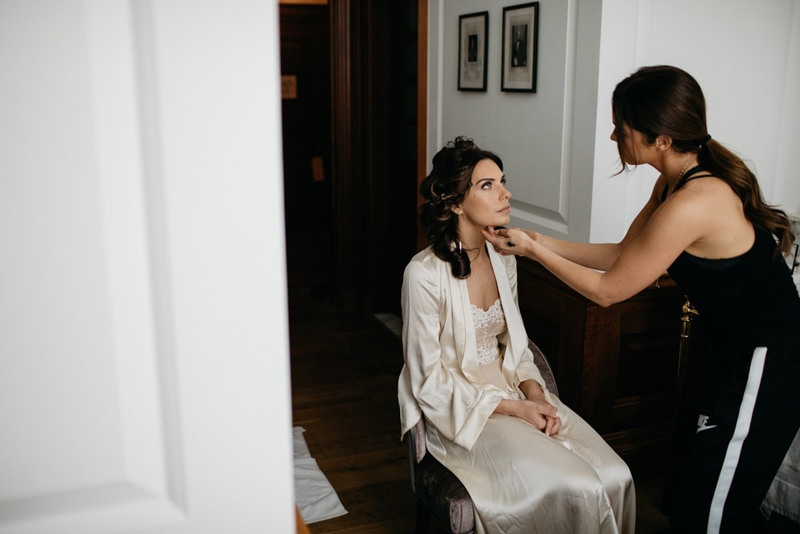 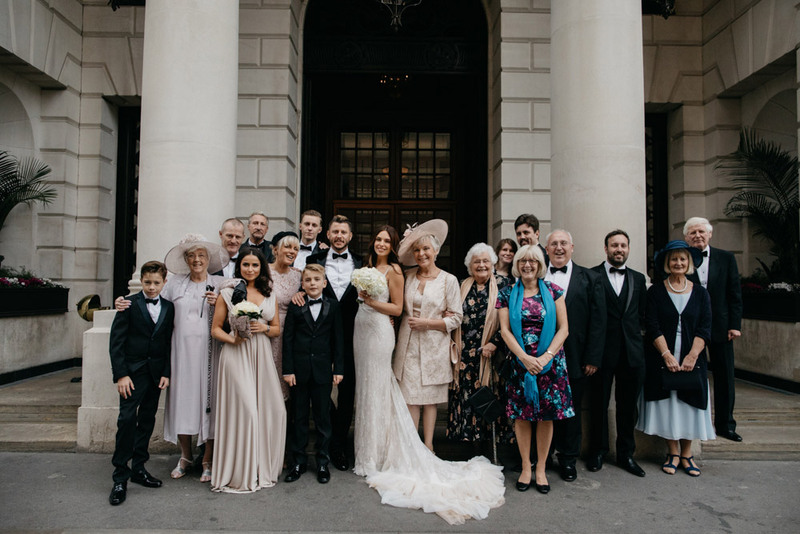 The whole wedding day was spent at the Ned, as Jennifer and Luke got ready in the gorgeous art deco rooms of the hotel and embraced the elegant 1920’s city feel with a black tie wedding. 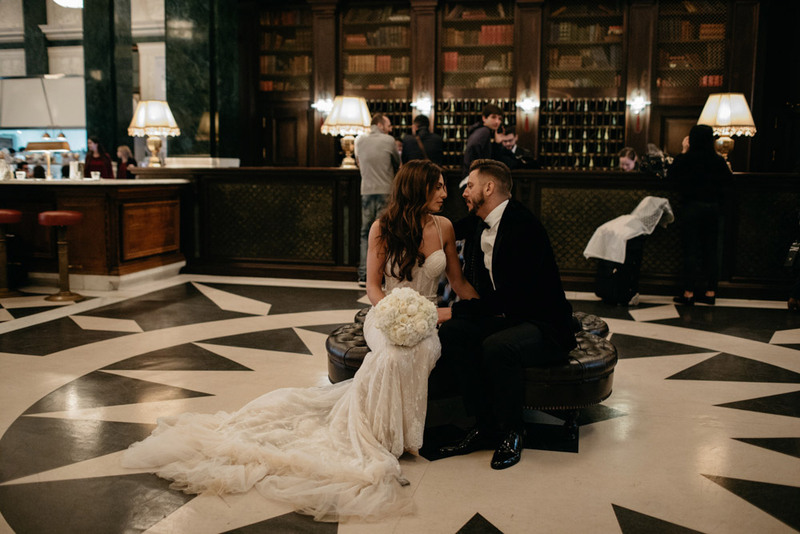 The ceremony and reception took place at the Ned. 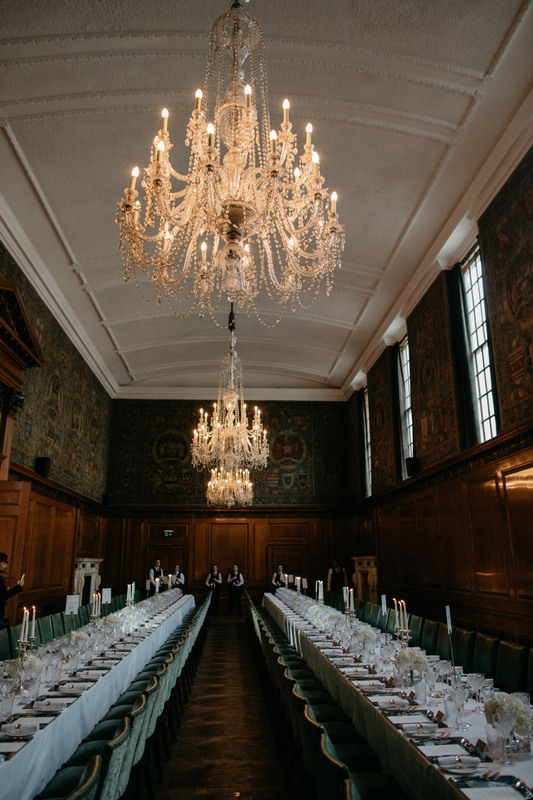 The reception was held in the Tapestry room which has a pastoral tapestry wrapped around the upper walls and amazing chandelier. 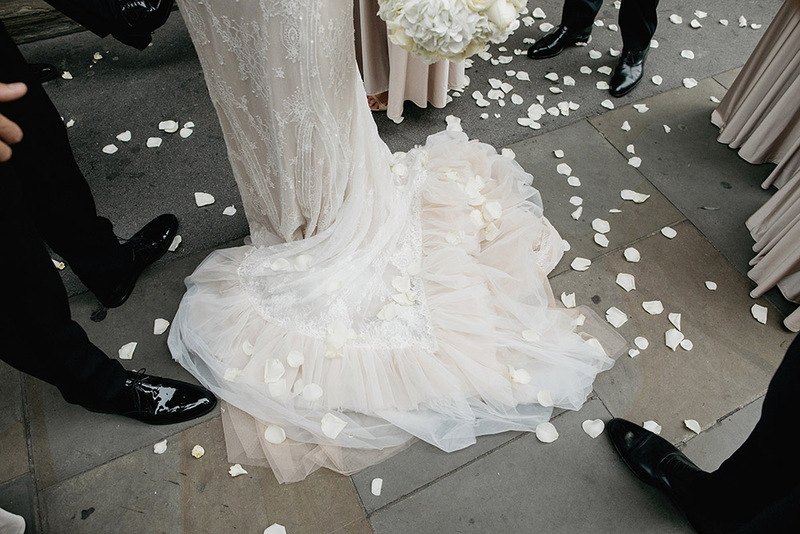 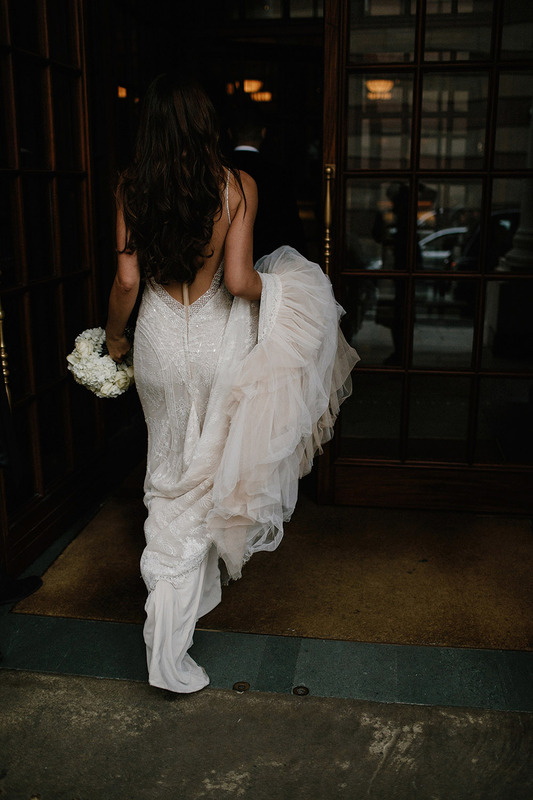 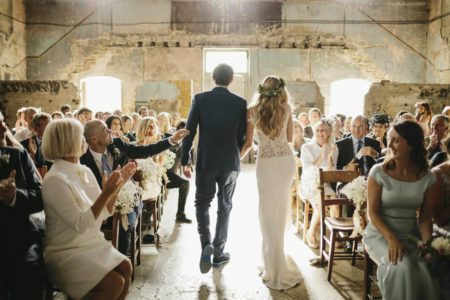 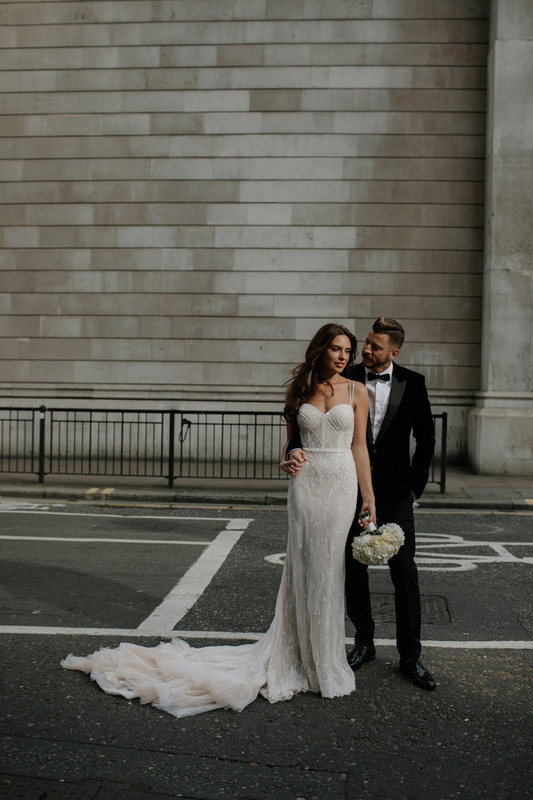 Jennifer wore a gorgeous Berta wedding dress. 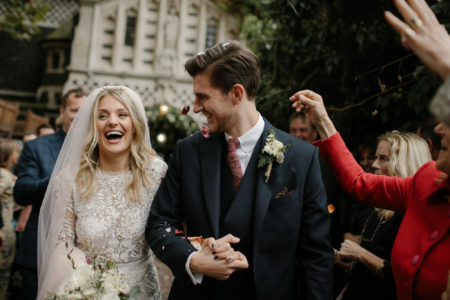 They are one of the sweetest couple I ever had the pleasure to work with. 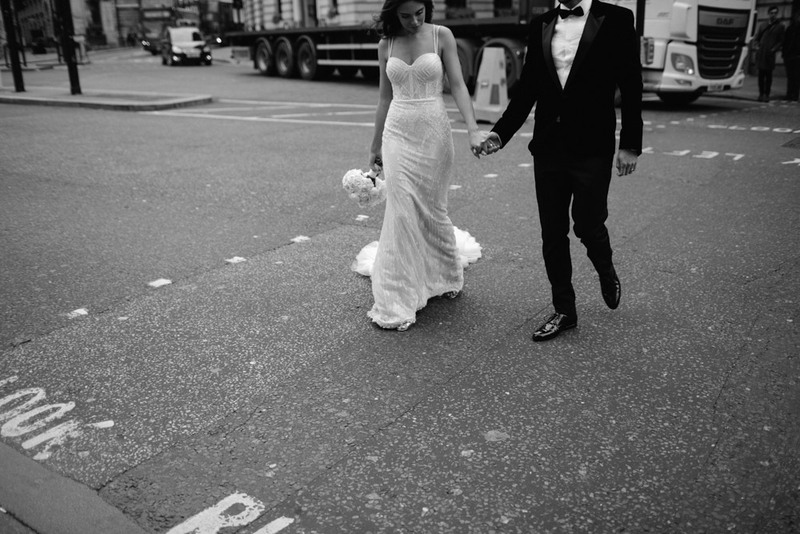 It was such an emotional day and I felt very privileged to be there to document it for them. 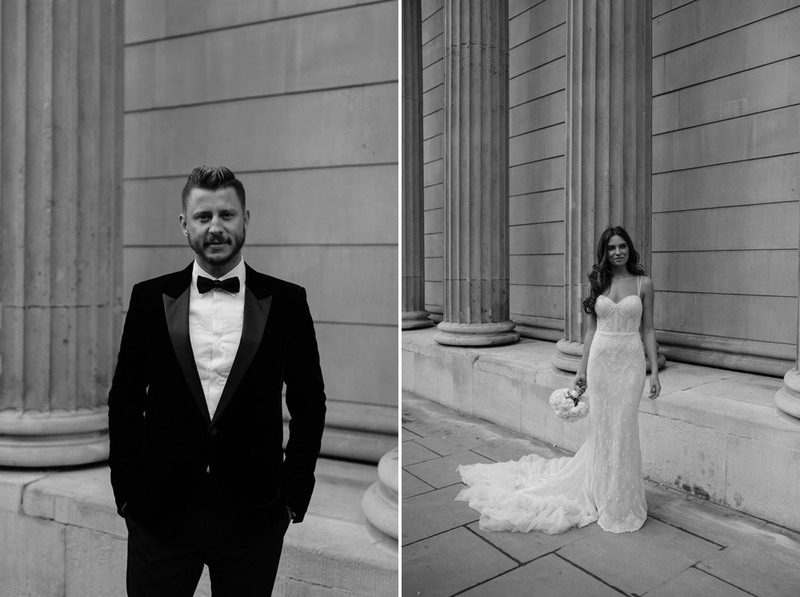 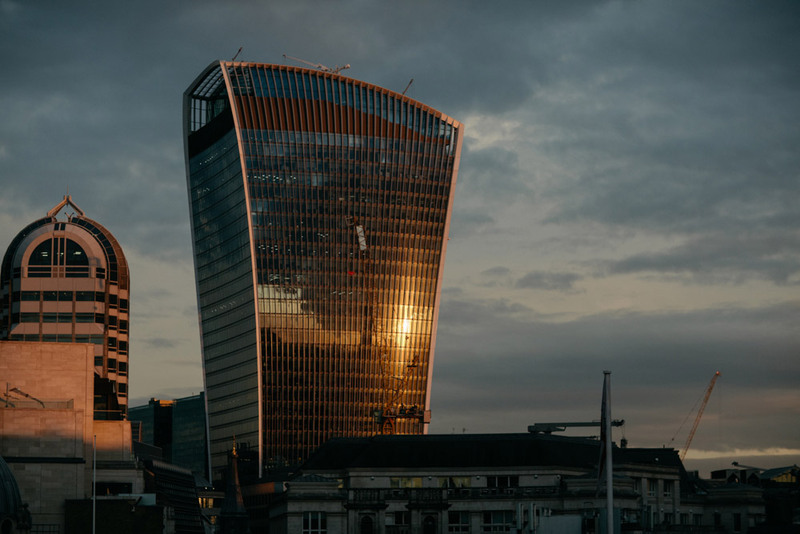 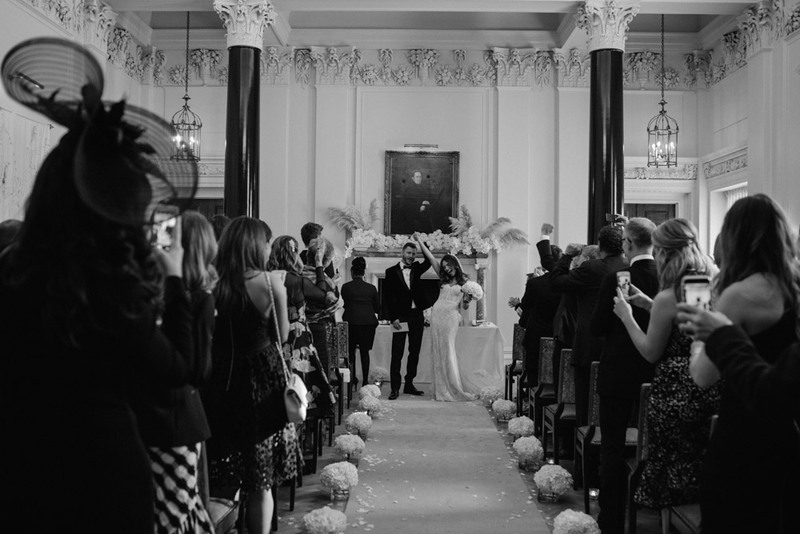 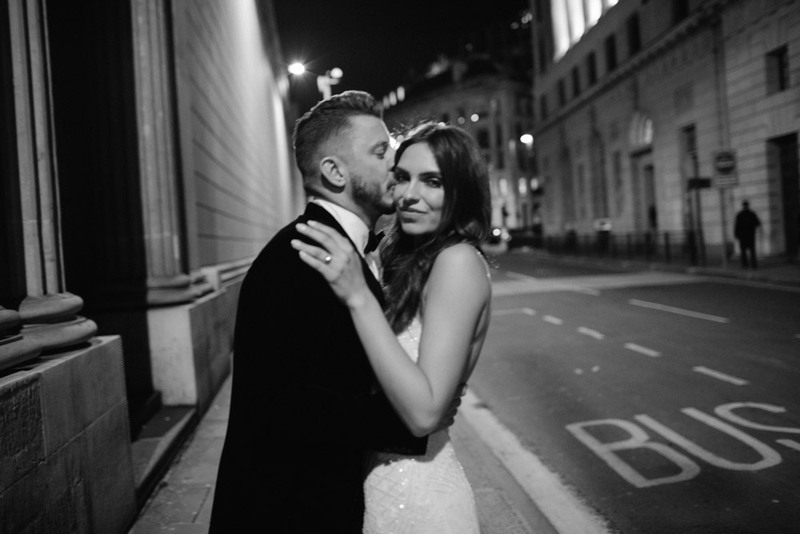 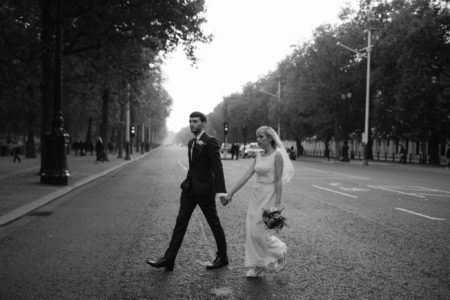 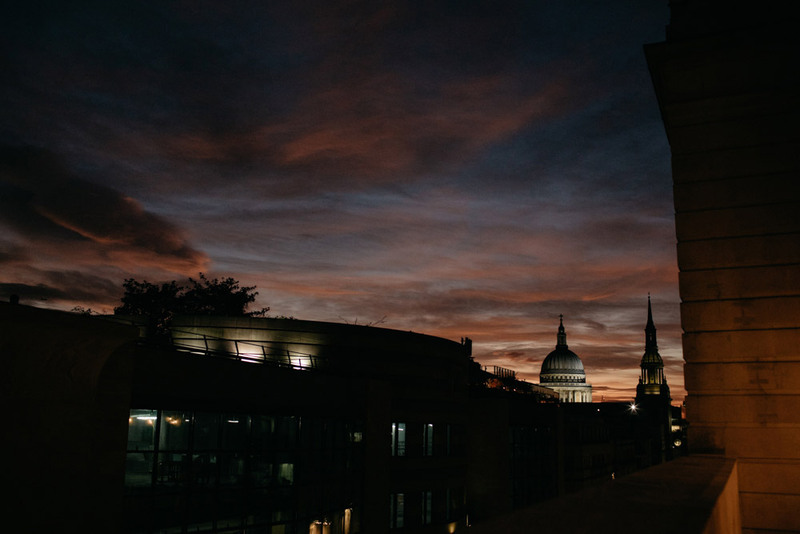 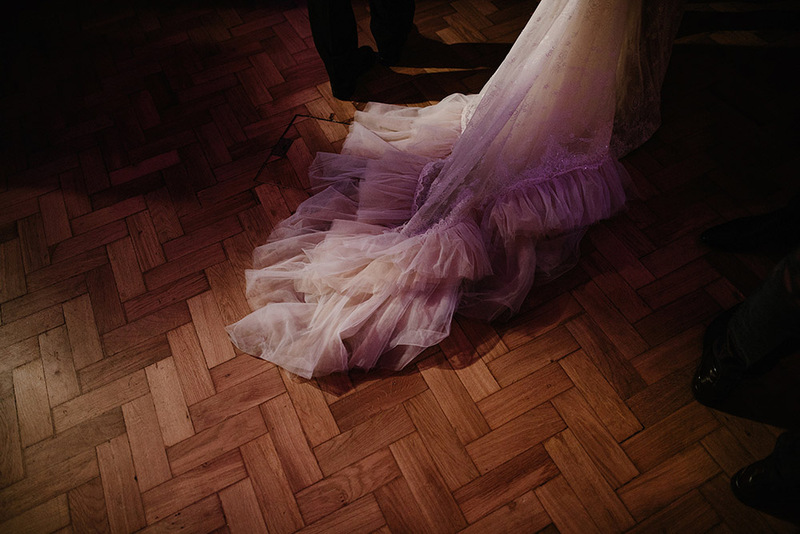 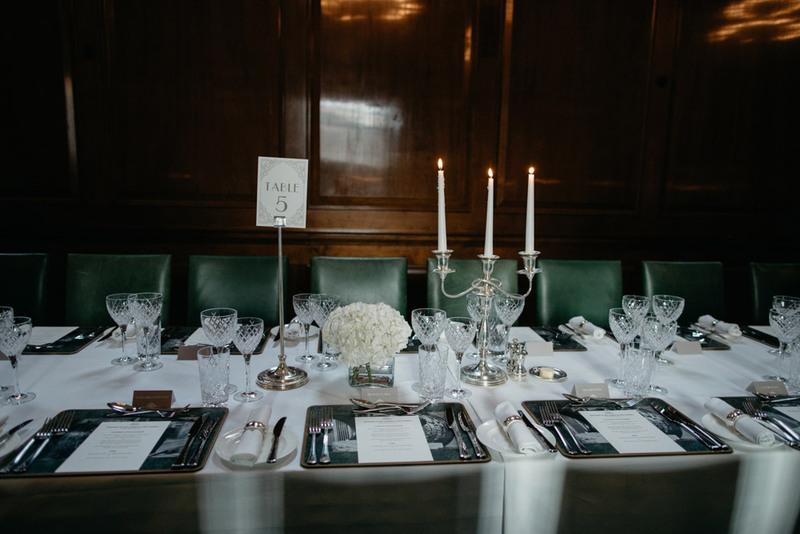 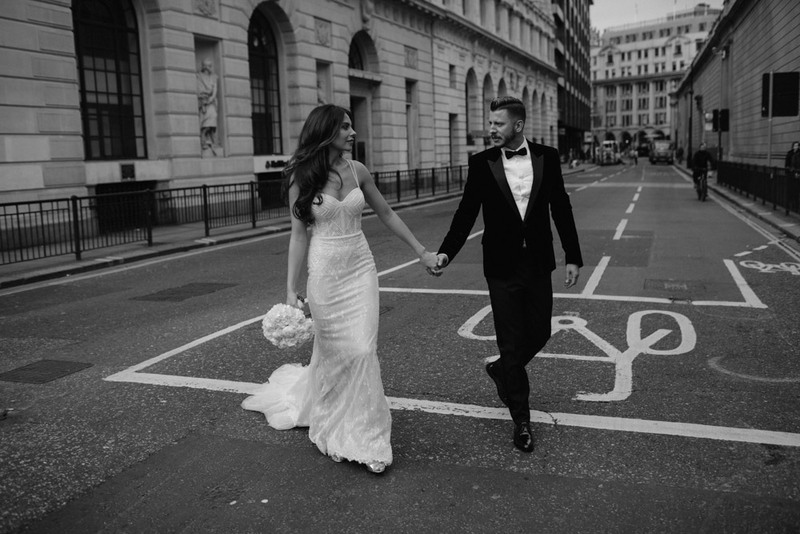 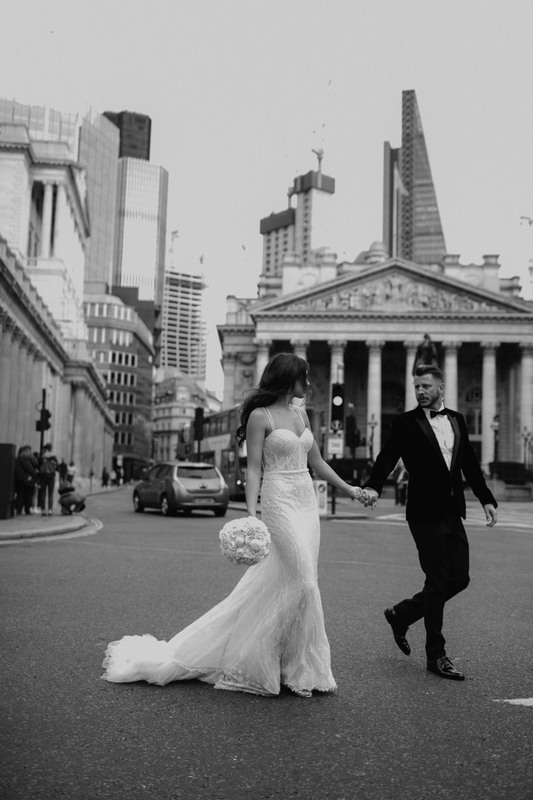 Here are a few previews frames from their luxe modern London wedding.